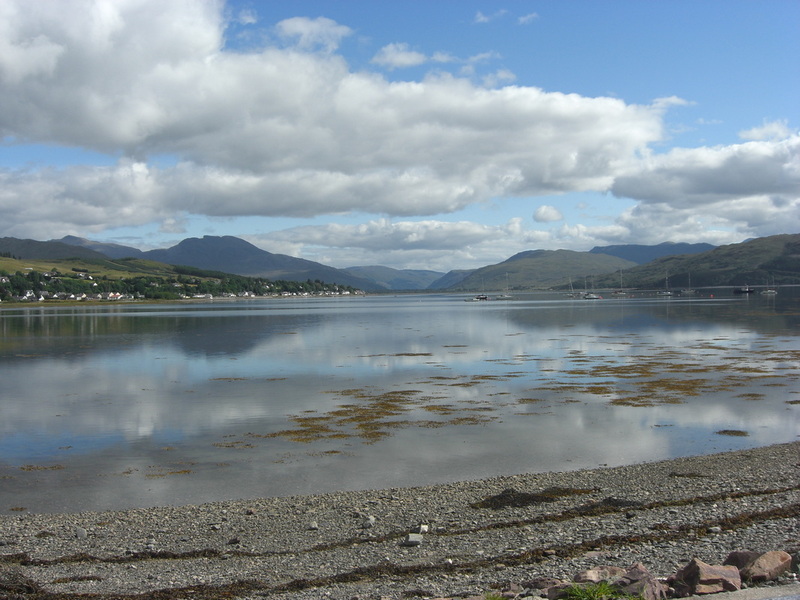 Nestling in a quiet bay at the edge of Lochcarron village with amazing views from the cottage. To the centre you look down Loch Carron and to the left you see the village with its award winning village store and its quaint bistro, hotels and cafe and nearby 9-hole golf course. Mountains to climb, waters to sail, swim and fish in - and of course watching out for the odd dolphin that may be seen or more likely seals playing off the rocks in a quiet bay. The perfect setting - Newly refurbished Harbour Cottage, Slumbay. For 2 - 6 people. Sleeping 2 downstairs in large ensuite king-size bedroom with views to loch at front. Sleeping 4 upstairs:- 2 x single beds and a double room looking out to the loch. Raeburn in kitchen/dining area and coal fire in lounge with loch views. Private garden to front and rear. This cosy cottage offers a wonderful base for your visit to Ross-shire.